SNIPPITS AND SNAPPITS: NIGEL FARAGE: MESSAGE TO EUROPEANS: "GET YOUR MONEY OUT WHILE YOU CAN"
NIGEL FARAGE: MESSAGE TO EUROPEANS: "GET YOUR MONEY OUT WHILE YOU CAN"
"never did [he] think they would resort to stealing money from people's savings accounts." "once one country goes, the whole deck of cards will come tumbling down." "clear irreconcilable differences" between the North and the South of Europe and now that they have done this in one country, "they are quite capable of doing it in Italy, Spain and anywhere." "get your money out while you can." As far as his British constituents, he strongly recommends George Osborne (UK Chancellor) urge ex-pats to remove all their money and do monthly transfers from home. "Do Not Invest In The Euro-Zone," he concludes, "you have to be mad to do so ~ as it is now run by people who do not respect democracy, the rule of law, or the basic principles upon which Western civilization is based." "They are propping up a Eurozone that, in the end, will collapse in disastrous failure and they are prepared to do anything to do so." 5 minutes of reality from a European MP ~ must watch... And remember, this DOES effect you. 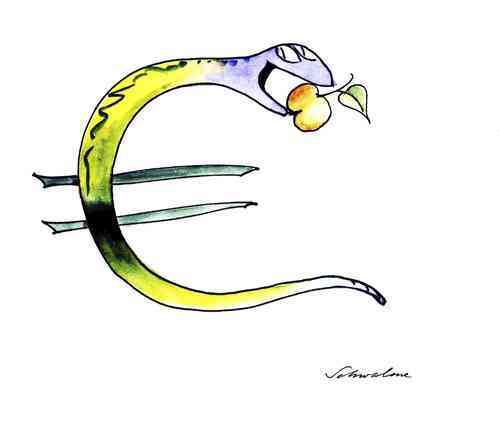 This house of cards called the Eurozone is just one of many houses of cards, all connected and interdependent. One goes, everyone else will also feel a lot of pain. A lot of pain as the fallout ripples around the globe.